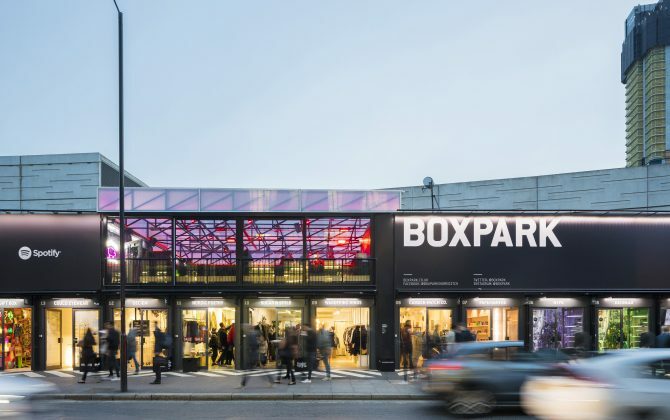 Boxpark is a shopping mall completely made out of shipping containers. The dark grey structure has a rather understated aesthetic – the objective is to let the displays and wares of its tenants (particularly on the ground floor) – both international and local brands – do the talking. It can get rather steamy on a summer day when crowds throng the shops. Head upstairs for street food and a craft beer if you need a breather.